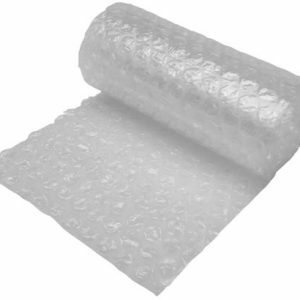 Bubble wrap was invented after a failed attempt to create 3D wallpaper. Since its creation in 1957, it has become a staple whenever there is a move. 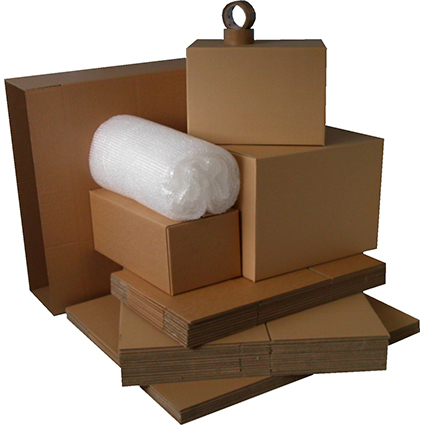 From simple residential moves to commercial office moves, bubble wraps protect fragile and delicate objects from breaking or scratching. The air-filled pockets act as a cushioning which absorbs any impacts from dropping or knocking while in transit. Why Should I Use Bubble Wrap? Bubble wraps can help protect fragile and breakable items. 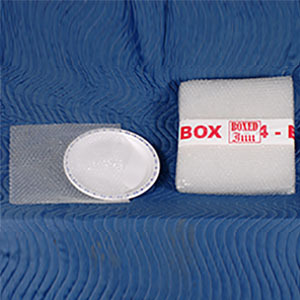 By wrapping the objects securely in multilayers of bubble wrap, the air-filled pockets prevent scratches and breakage by absorbing shocks while cushioning punctures. They are also simple and easy to use. Even oddly shaped items can benefit from this material. Just wrap, tape and off you go. Bubble wraps can also be reused as long as the air pockets are intact. 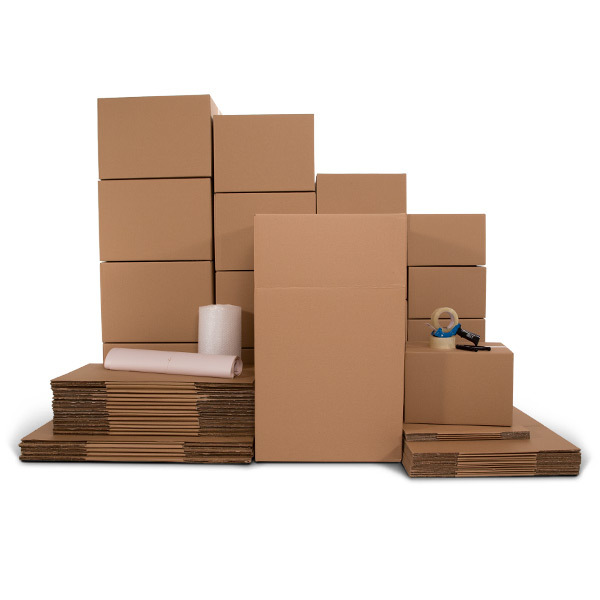 This makes it a cost effective and environmentally friendly material when moving. Finally, aside from protecting your valuable belongings, bubble wraps can help reduce stress and provide hours of entertainment. Studies show that 1 minute of popping these wrappers is better than 33 minutes of massage therapy. So if you feel overwhelmed with packing or when you’re all settled into your new home, go ahead, start popping! Is There a Correct Way to Use Bubble Wrap? There has always been a debate between wrapping with the bubbles facing the object or facing away from the object. The answer is, the air-filled pockets should be facing the item so it provides a protective cushioning in the event it gets dropped. By facing in, it also helps distribute the weight, making the bubbles less likely to pop. Which Bubble Wrap Size Should I Use? Bubble wraps come in various sizes and forms. The most common sizes are 3/16” thick bubbles or ½” thick bubbles. 90% of wrapping can be done with small bubbles. It’s a misnomer that big bubbles will protect your item more. The only reason you will use big bubbles is when you’re filling a large space, like a small item in a big box. If you use the big bubbles to wrap an item to put in a box, the item may not end up fitting the box as it’s thicker, hence you want to use the 3/16” thick wrap instead. 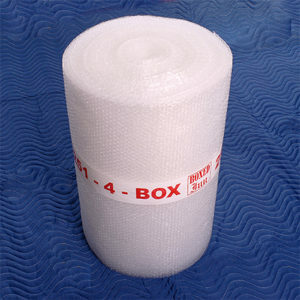 There are also speciality bubble wraps that makes it handy for certain items. For example, there are plate pockets that makes it convenient to insert each plate into its own bubble wrapped pocket. With the bubbles facing in, wrap the object with multiple layers of bubble wrap, securing each layer tightly with packing tape. This will ensure articles won’t fall out of the bubble wrap during transportation. 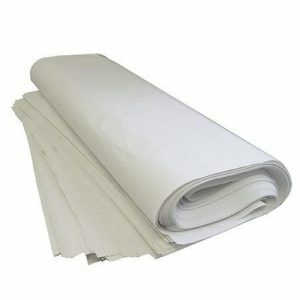 The more layers the more the item is protected, however, generally 2-3 layers is enough. Label each bubble wrapped package for easy identification since it is hard to see through layers of bubble wrap. Add ‘large bubbles’ to line the box to give extra padding. 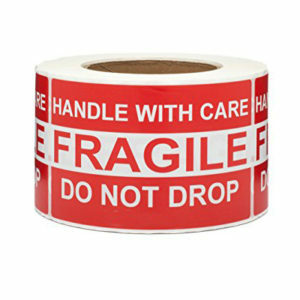 Make sure fragile labels are visible on the boxes that contains these items. 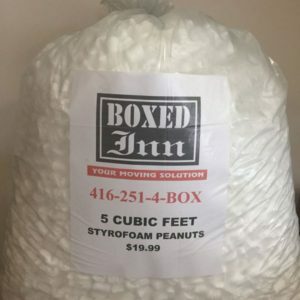 Additional packing peanuts and white newsprint (crumbled) should be used to fill in gaps and spaces between each bubble wrapped item to prevent shifting and moving during transportation. 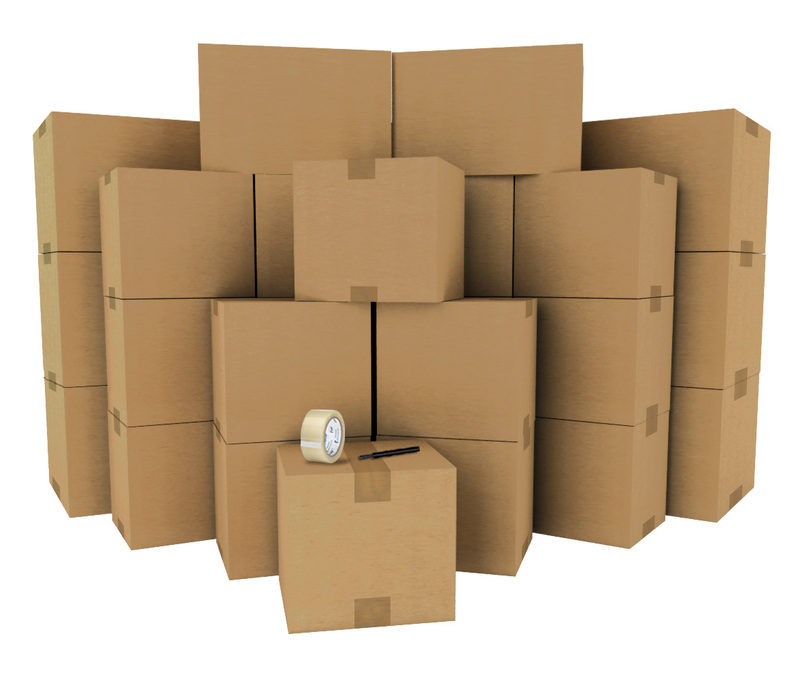 Give your box a gentle shake to make sure the items have little to no movement inside the box. As a general rule of thumb, anything breakable or valuable should be protected with bubble wrap when transporting to avoid damages. 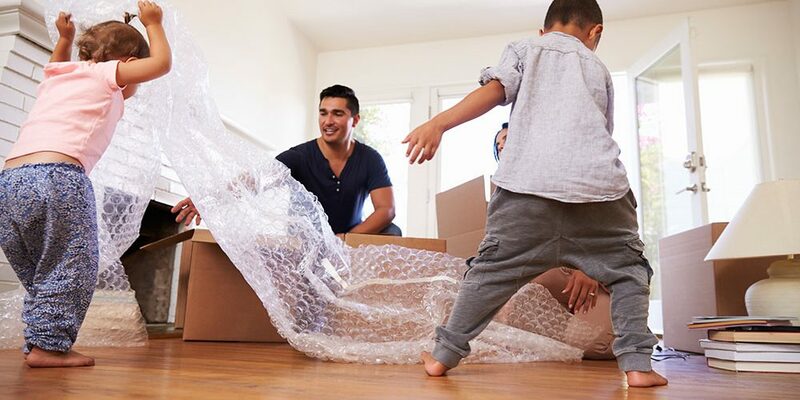 Fragile items such as glass, wine bottles, ceramic, china or mirrors should be secured with bubble wrap and placed in speciality boxes to be extra cautious. Glass inserts can be purchased to ensure each glass has its individual compartment. Artwork – figurines and paintings – should be protected by the wrap to prevent scratches or breakage. Certain furniture parts, like furniture legs, handles, breakable table tops/doors/shelves, should be removed (if possible) and wrapped with krubble. 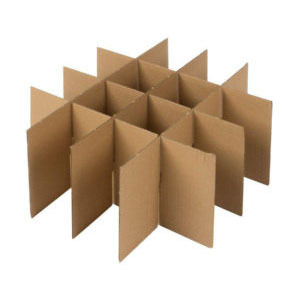 Krubble is a special type of packing material with bubble wrap on one side and smooth paperbacking on the other used specifically for wrapping furniture, paintings, mirrors and lining containers. Clay or breakable planters should to be wrapped to minimize breakage and spilling of the soil. Electronics should have a minimum of 2 layers of bubble wrap and in its own box. 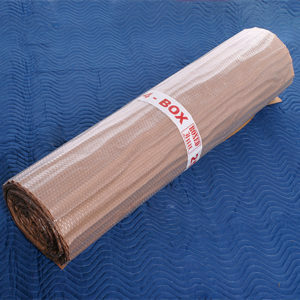 Packing with bubble wrap is easy and the best way to protect your fragile and delicate items. 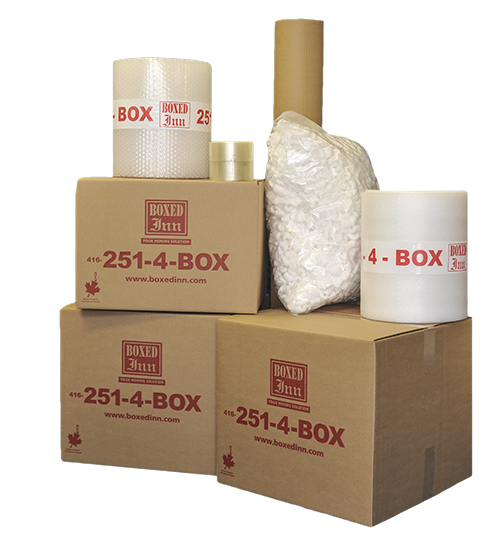 At Boxed Inn, we carry 2 sizes of bubble wrap along with other moving supplies. Come visit our store at The Queensway & Kipling or shop online at www.boxedinn.com. Not feeling up to doing all the work but have to move? 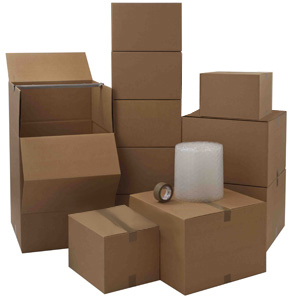 We offer packing, unpacking and moving services as well. See what the average cost to hire professional movers is in Toronto. 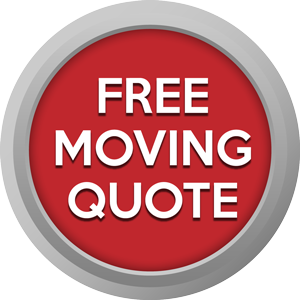 Hiring professional movers may well be in your budget.